Think gamification is only for big companies with generous budgets? 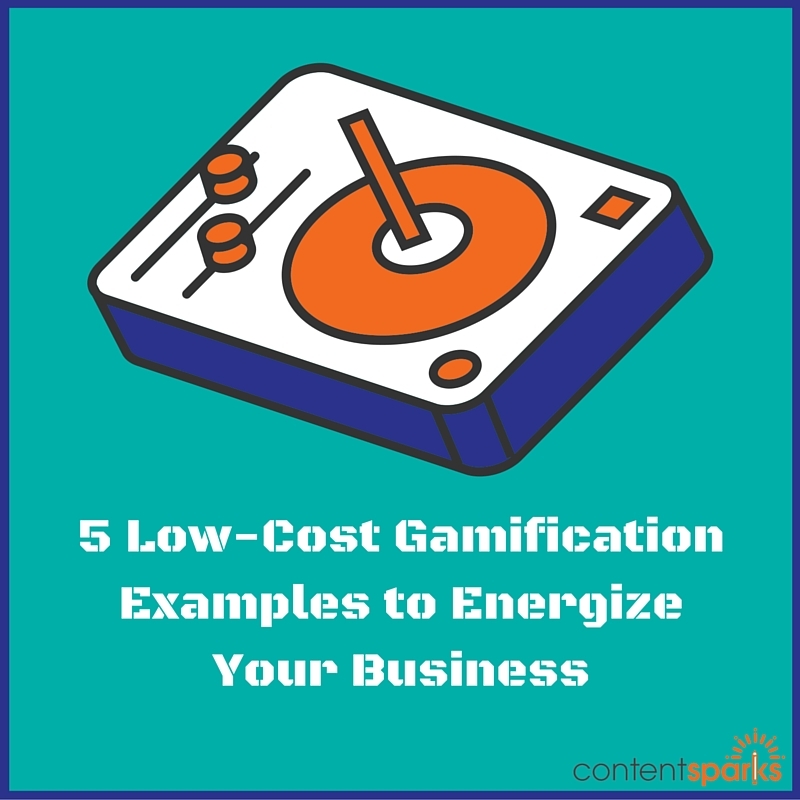 You'd be surprised at how many gamification examples you can find that cost absolutely zero. Using the basic elements of games to jazz up your marketing and ramp up your customer retention doesn't have to be expensive or involve complicated programs and apps. You can apply most of the basic principles with little to no cost – such as points, badges, levels, leaderboards, challenges, and rewards. Engagement through gamification doesn't have to come at a price. It just requires some creativity. Instead of looking at fancy apps or hiring a developer, think of inexpensive or free ways to encourage interaction, competition, and a sense of achievement while having fun. Here are a few low cost ways to incorporate basic game mechanics that have proven to be successful. Run a limited-time challenge related to using your products, implementing a task, or achieving personal goals. Send out daily emails with instructions and to give tips and motivation. Add a Facebook Group for people to post progress with a specific hashtag and to encourage each other when having problems. Show people who's making the most progress in a competition or challenge or who's been the most active contributor to a community. You don't have to use an app, though some platforms have them built in. Just review people's progress manually and recognize the top achievers or top contributors each week. If you have their headshots or a gravatar, you can post that too to make it more personal. For automatically determining the top contributors in a Facebook Group, check out Grytics.com. There's a free plan which you can use with one group and get the key analytics you need for leaderboards. Then try using Canva or PicMonkey to create a fun leaderboard image. Also great for social media, ask followers to suggest names for a new product, service, book, etc. Ask them to ‘Like' the ones they like best. The person with the most likes gets to see their name or title used, plus you can give them a shout out on your blog or spotlight in your group or page. Use a survey or quiz making tool (such as Survey Monkey, Survey Anyplace, QuizWorks, or Qzzr) to create a quiz in which people get different results based on the answers they gave. This is slightly more complicated, so keep the multiple choice options limited and keep the category outcomes restricted to 3 at most. Of course, the quiz should be related to your business. For example, if you teach people how to manage their social media, you can ask questions ranging from how often they post to whether they've done any social media ads. Then your quiz tool can give them a relevant ‘level' outcome, such as Social Media Newbie, Social Climber, or Master of Social. You'll also have that information now so that you can send the most appropriate content to people at different levels, which is the ultimate goal for you as a content marketer. Design fun, eye-catching graphics wherever you publish your content, such as for badges and images. You can use a free graphics app like Canva or outsource the designs cheaply on fiverr.com. Create your own branded cartoon characters using an app like Toondoo.com. Insert those images at each step of a task telling people what to do next. Make your reward unique. Instead of the standard freebie, give something else that is valuable to your participants, such as an opportunity to be interviewed live, have their business spotlighted on your website, watch over your shoulder as you create your next product, be the student case study for your next project, make a contribution to their favorite charity, etc . No matter which type of gamification you choose to include, remember that the end goal has to be something that the participant wants to achieve and which will be rewarding to them all on its own (extrinsic value instead of intrinsic). For example, completing a 10-Day challenge that will help your customers grow their business doesn't require a monetary reward. However, there's additional motivation when it involves some public recognition in your community. Want more ideas and some real life examples of gamification in business? 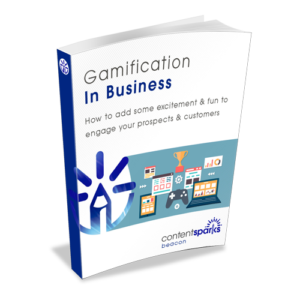 Want to learn more about using gamification in your business or learning applications? You can use our ready-to-go content to learn AND teach gamification to others. All you have to do is purchase a license for the content, download instantly, edit and brand it, and start sharing or selling to customers/clients/prospects.